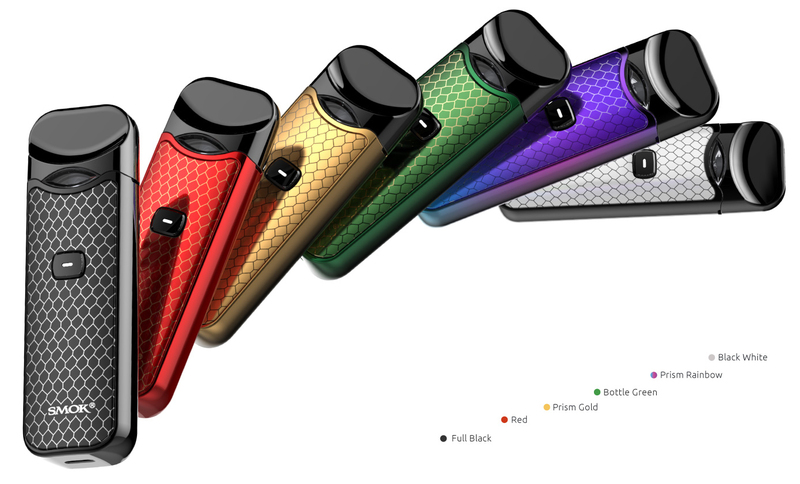 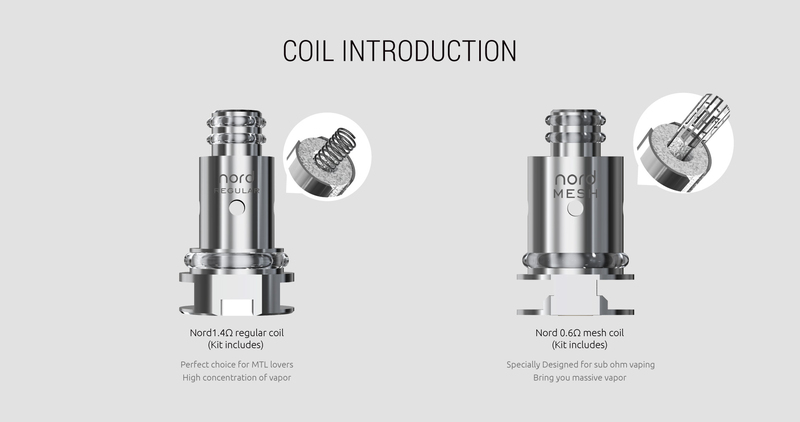 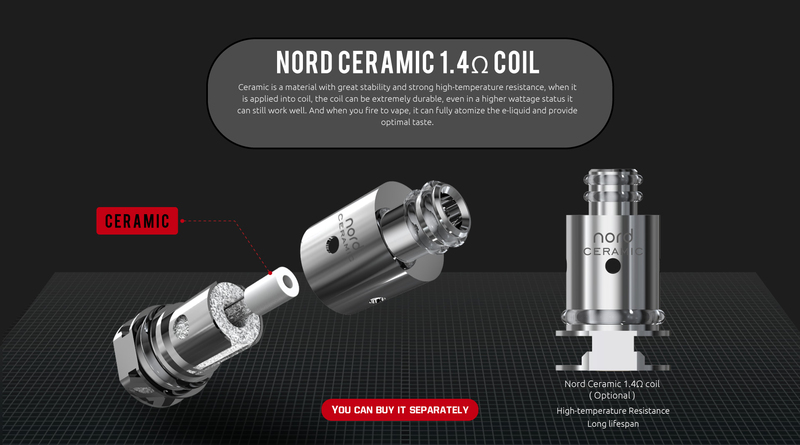 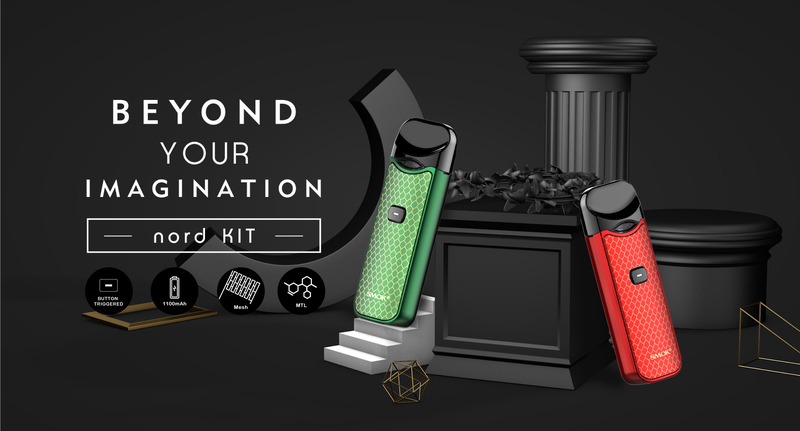 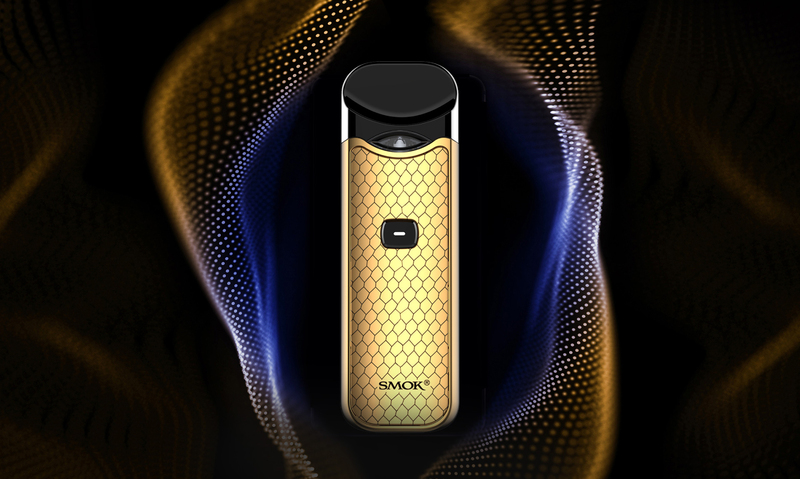 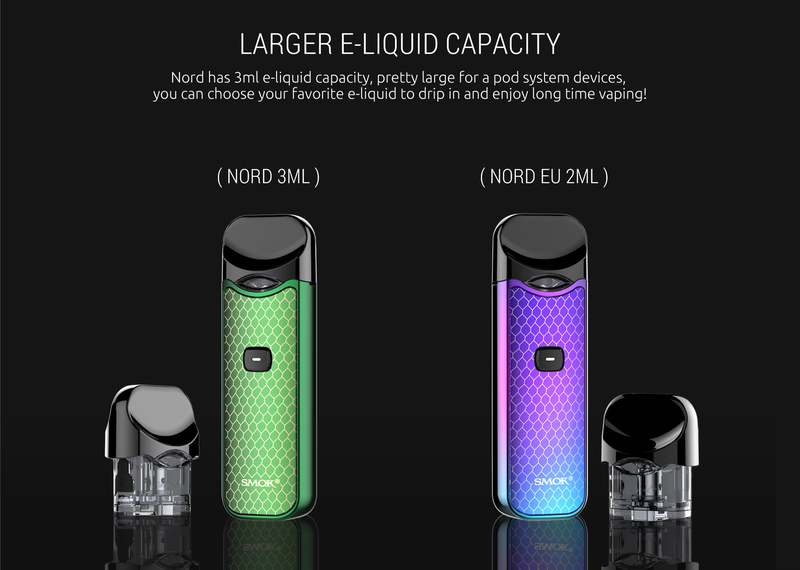 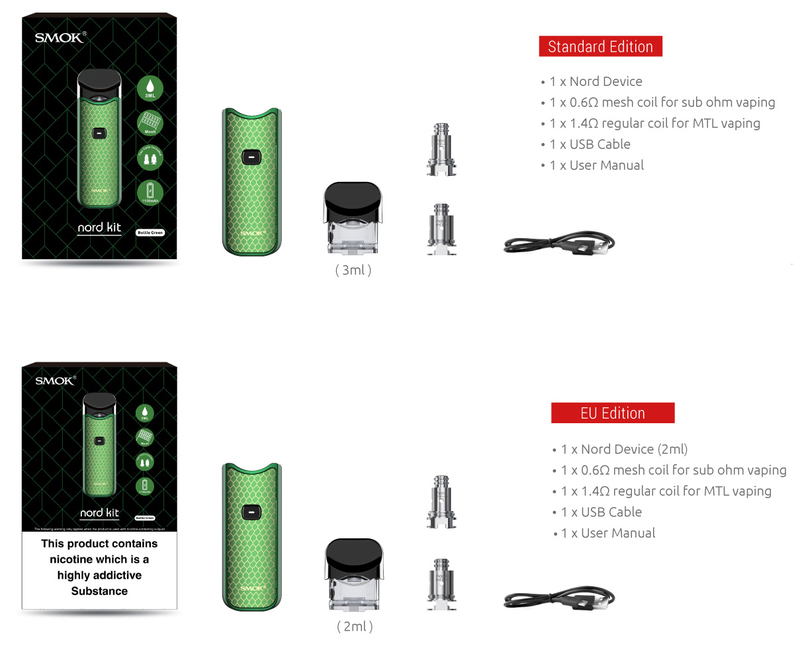 Click the button below to add the Smok Nord Kit to your wish list. 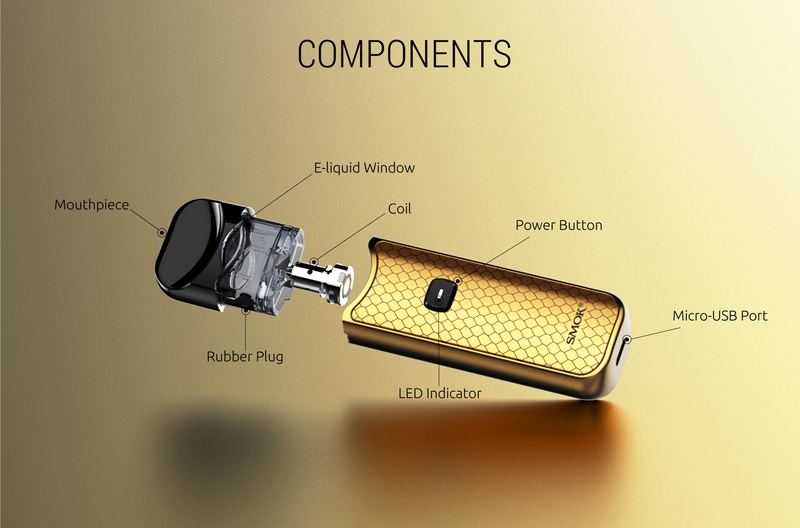 and it has cobra covered at main body to offer an exquisite and wild look. 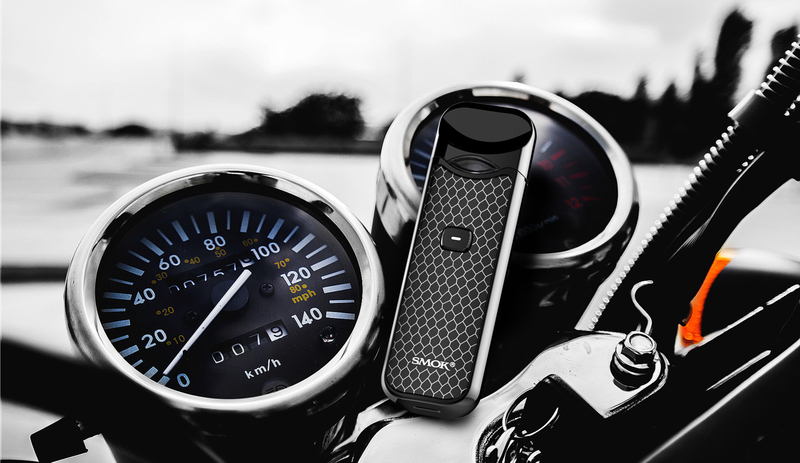 Whatever in appearance or function, this one won't let you down. 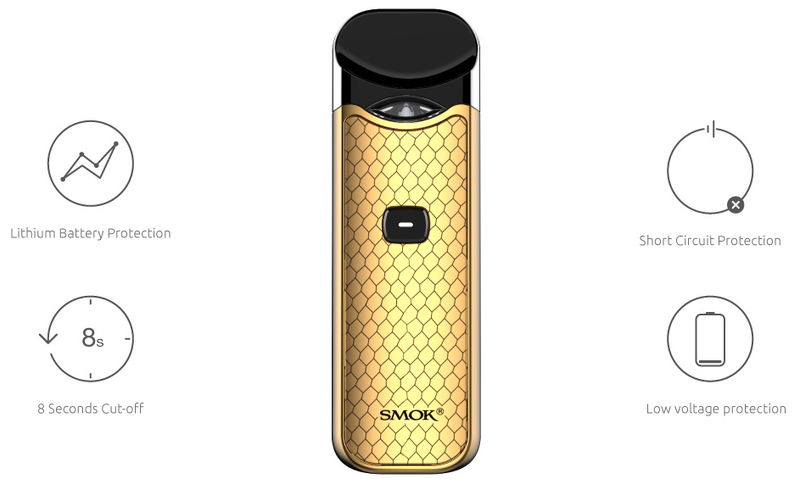 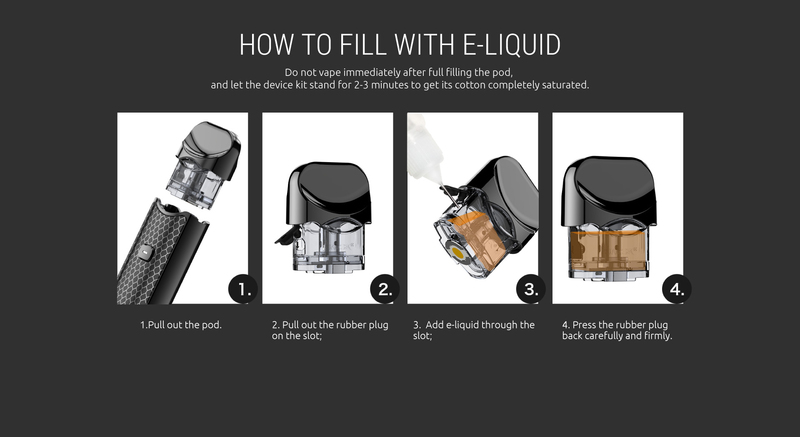 you need to fast press the button five times to power on the device and long press the button to vape. 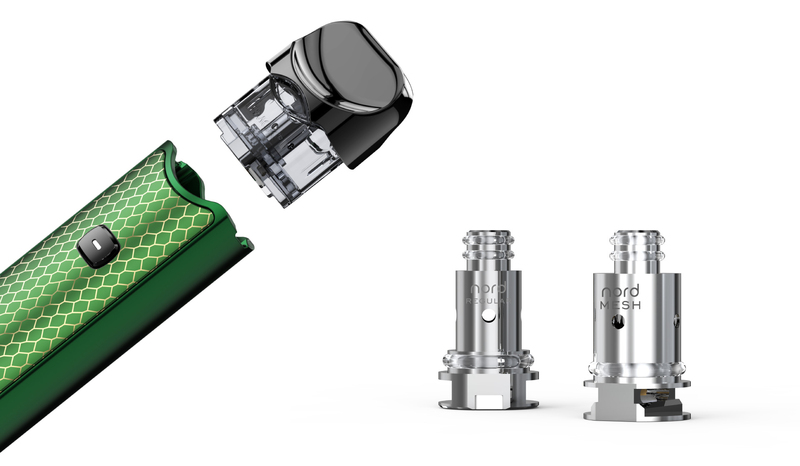 Same operations with box mods. 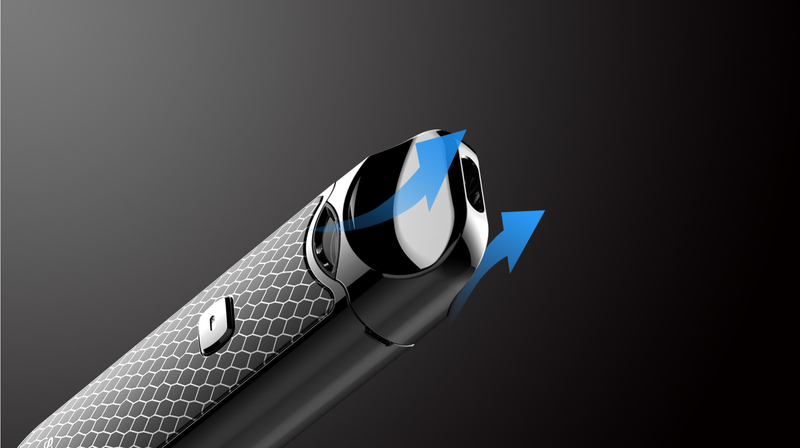 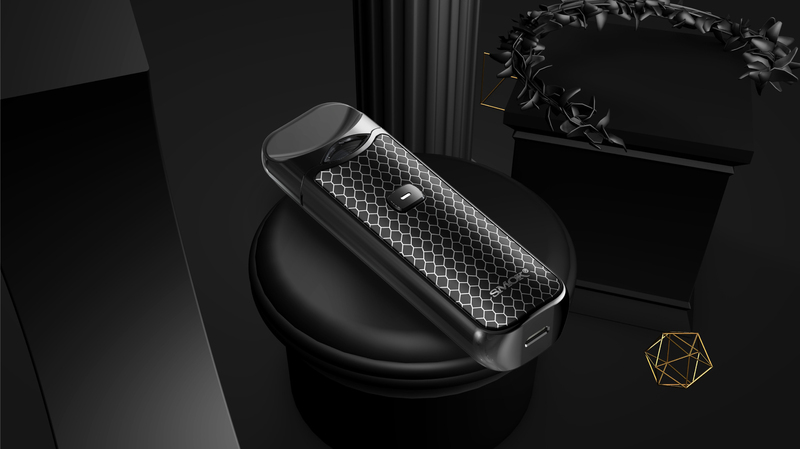 with a lip curve on it, this mouthpiece could perfectly fit your mouth and offer better user experience. 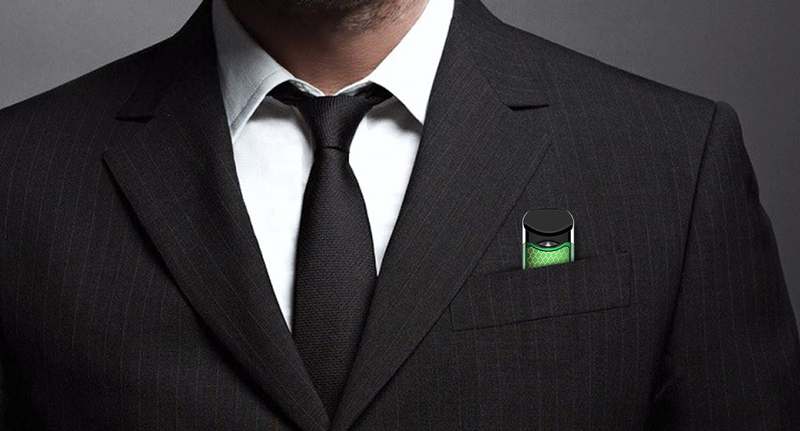 There's a LED light on the button, press it twice then red, orange or green light will be on. 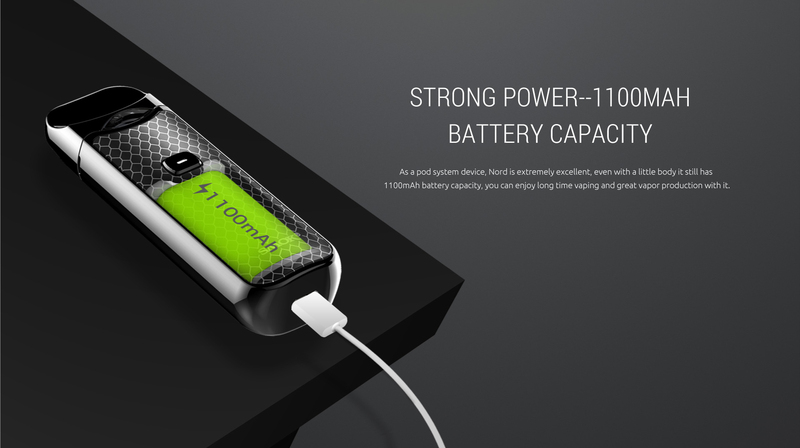 on when power is between 70% to 100%. 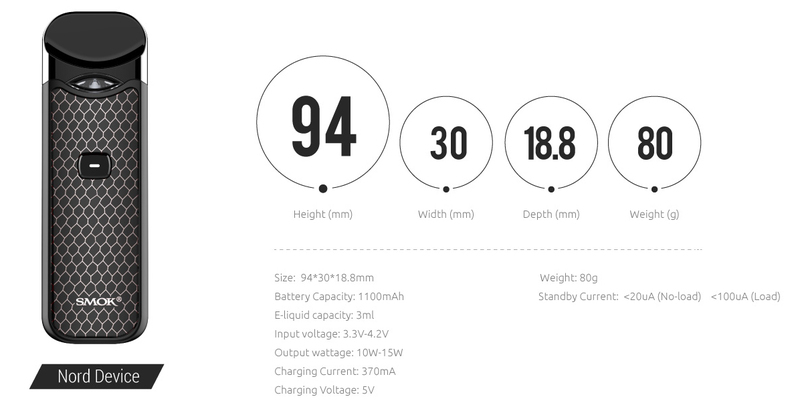 According to the different light colors you can clearly know the device's battery conditions.